Choosing to go off-grid and install a solar power system and live green is a great idea! Once you start investigating the choices and designing a solar system for you home, it quickly becomes a sticky quagmire of uncertainty! This post is the first in a series on how to design and cost a solar power system yourself. Hopefully we can help clear the fog around this topic and give you a clear view of the possibilities. Our intention for this post is to give you an introduction to the basic components required for a solar power system. Future posts will discuss each component in detail. This will give you information to make your own decision as to what type of components will suit your needs. The modular nature of solar systems is a great feature. This means that you can start with a smaller system to provide energy for one component of your household’s energy needs. You can then add on to the system as you expand to go totally off grid. Why not try a small scale project with a solar powered motion sensor security light. This will give you the opportunity to see how the technology works. Solar panels are a key component in you solar power system. This is the component that converts actually converts the suns energy into electricity. Great strides have been made recently in the solar panel industry. Solar panels have become more efficient and cheaper to produce. 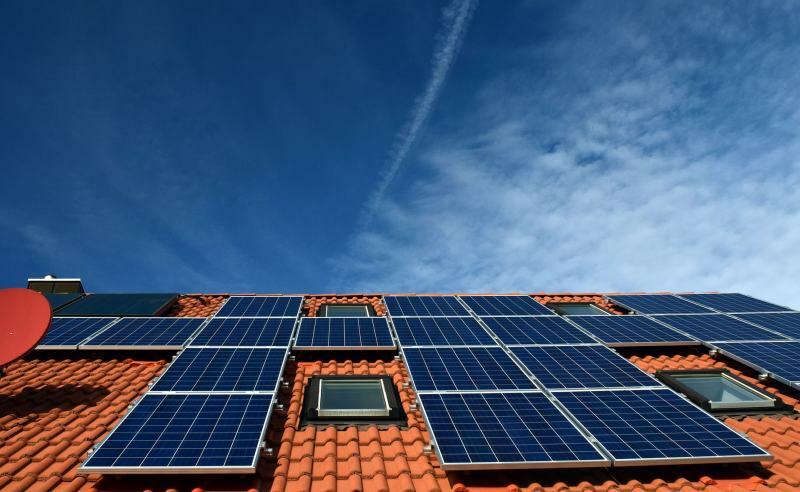 The advent of thin film solar cells is promising to revolutionise the solar panel industry. There are various pros and cons for each technology. We will cover these in the next post on designing your solar power system. The battery is another key component for a solar power system. The function of the battery is to store energy. This energy can then be used at night, or on cloudy days where not much sunlight is available. The batteries will probably be the most expensive component of your solar power system. Your choice of battery is key in determining how reliable and efficient your solar system will be, and long term costs regarding battery replacement. Battery technology is moving forward at a rapid pace, but currently these two options are what is available for reliable storage of your electricity We will discuss the pros and cons of each battery type in a post dedicated to that subject. The energy from the solar panels fluctuates depending on the sun’s intensity. This has the potential to damage the batteries connected to the system. The charge controller regulates the voltage going from the solar panels to the batteries and prevents over charging of the batteries. This ultimately increases battery life and performance, which is a good thing when you take into account the cost of the batteries! The voltage that comes out of the solar panels is DC (direct current) as is the voltage supplied by the batteries. The batteries also output the voltage as 12 volts. Most household appliances require AC voltageat between 120 and 240 volts. The power inverter is the component in the solar power system that converts the voltage from 12V DC to either 120V AC or 240V AC, depending where you live. The additional function of the power inverter is the ability to charge the batteries from the power grid, or from an AC generator. This is a useful function to have, particularly if you have access to the national grid as an option or a petrol or diesel AC generator to get you through particularly long periods of limited sunshine.